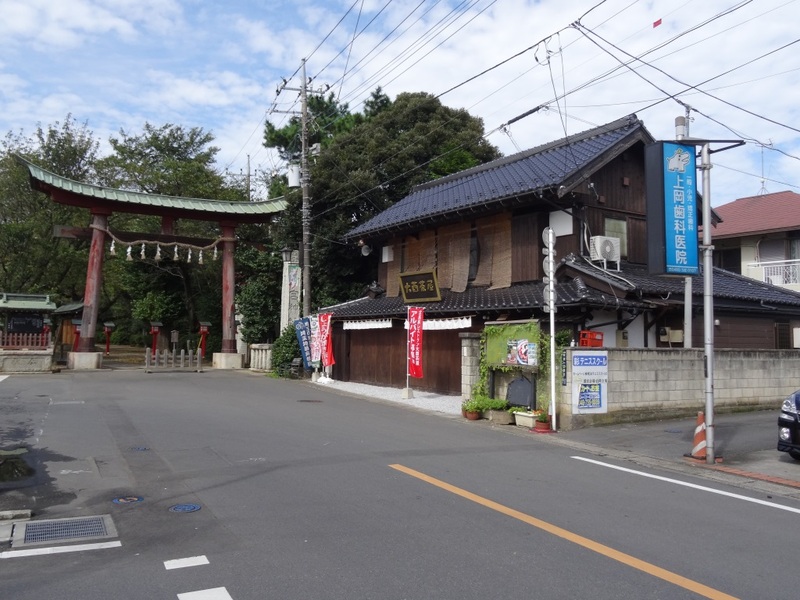 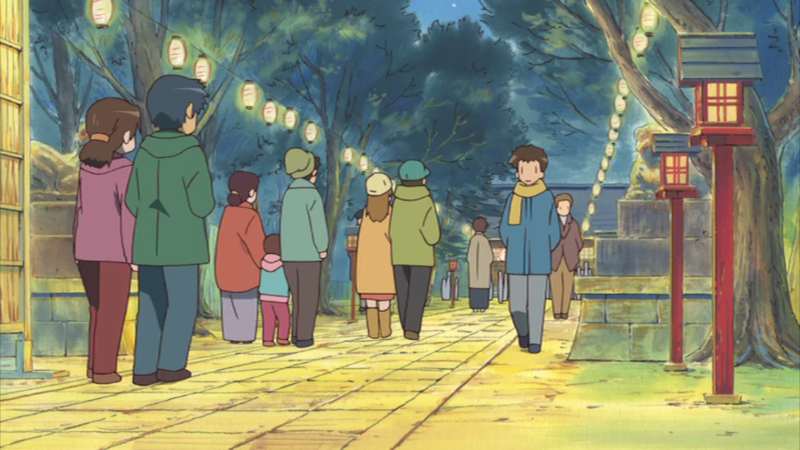 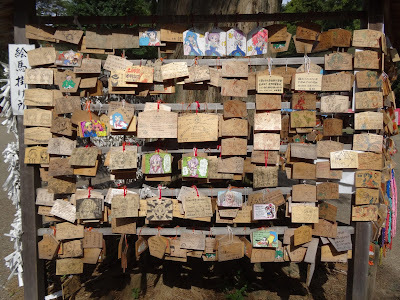 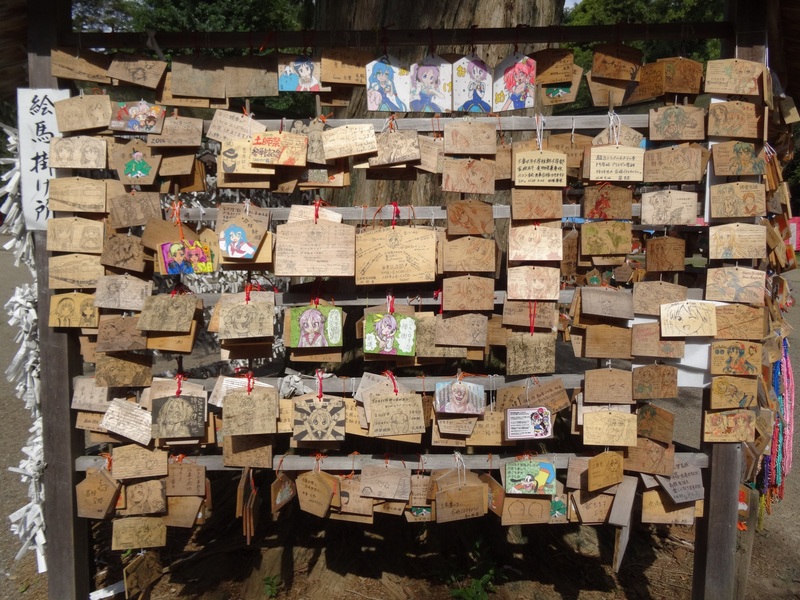 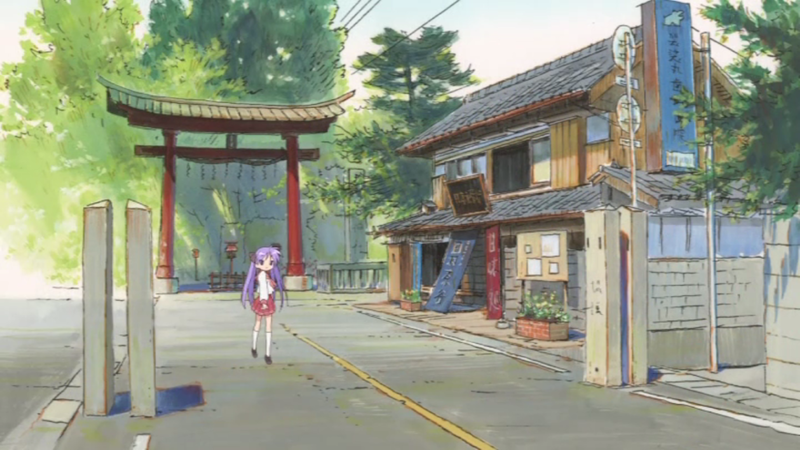 While in Japan I met up with brassica and we went to Washinomiya Shrine in Kuki city known from Lucky Star since he hadn't been there before. 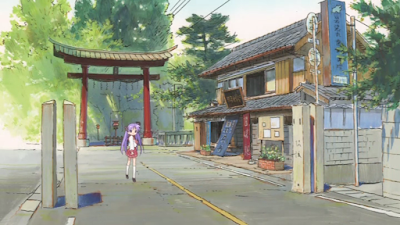 The torii gate is the same as the last time I visited. 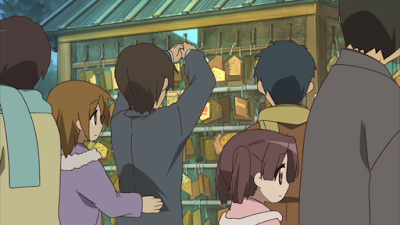 And the Hiiragi sisters stone tablet is still there. 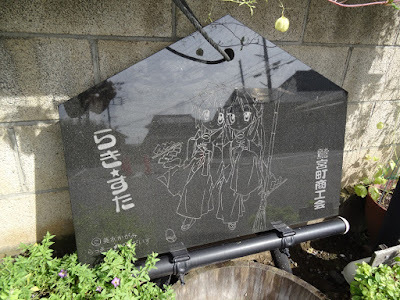 They had this illustration of the Miyakawa sisters near the stone tablet that wasn't there last time though. 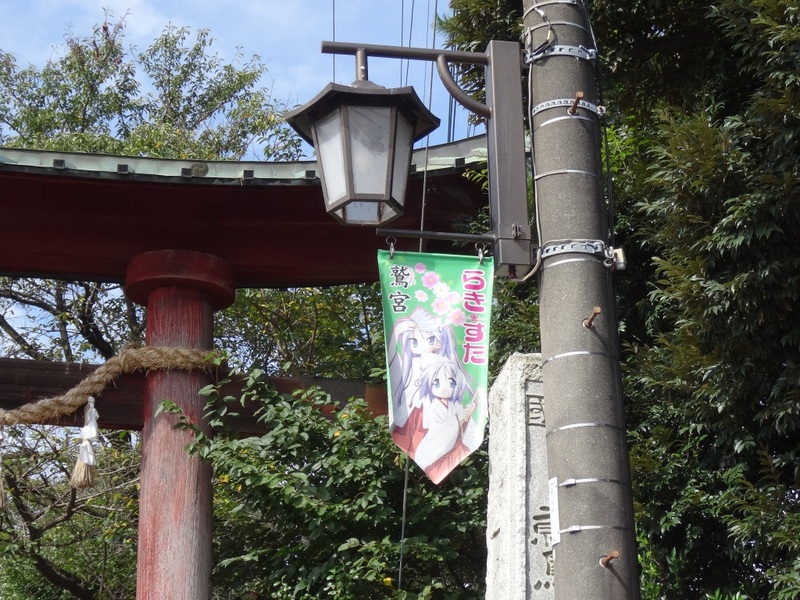 Lucky Star banner near the torii gate. 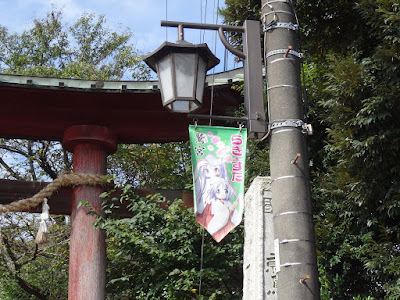 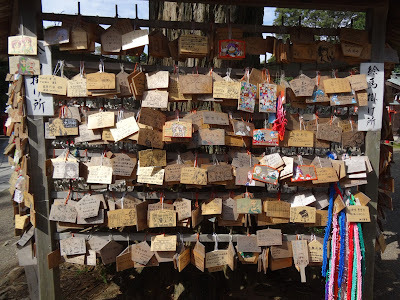 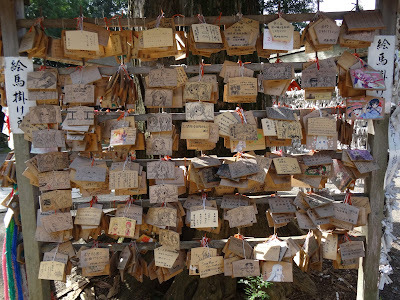 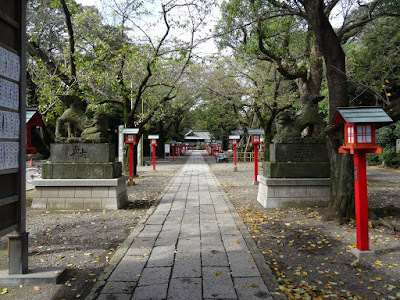 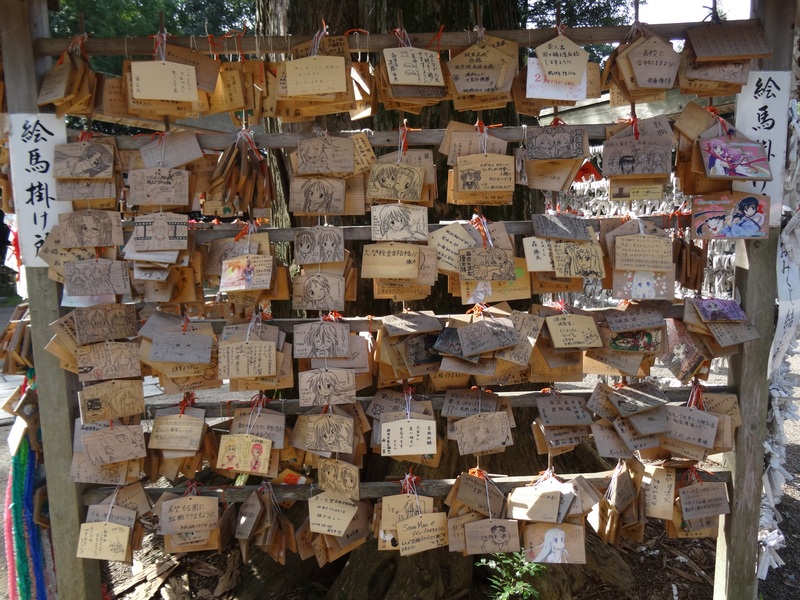 Also went into the shrine grounds as well. And checked out the ema hanging place again. 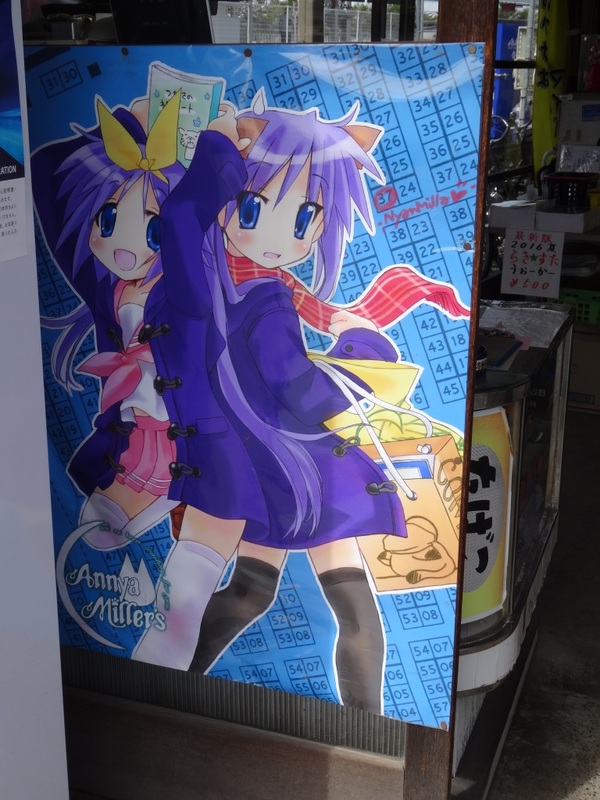 Extra large picture to show more details. There's still lots of people coming here every year. 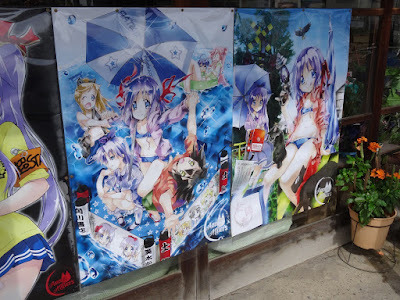 Extra large picture to show more details. 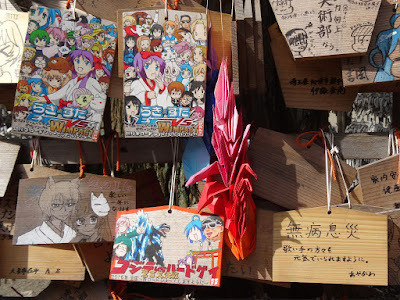 Leaving lots of anime ema. Extra large picture to show more details. Some closeups. 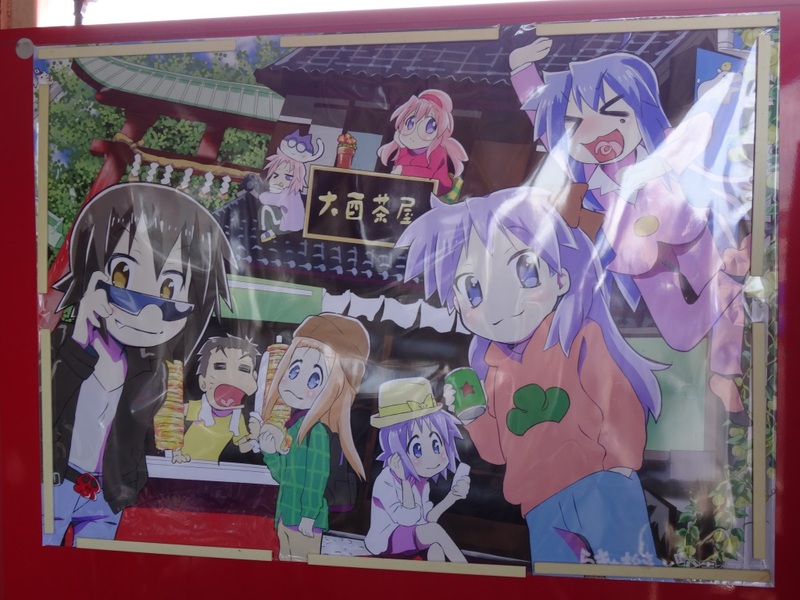 Lucky Star x Madoka and Lucky Star x Pokemon Go ones here. 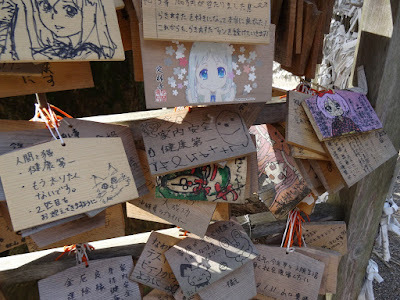 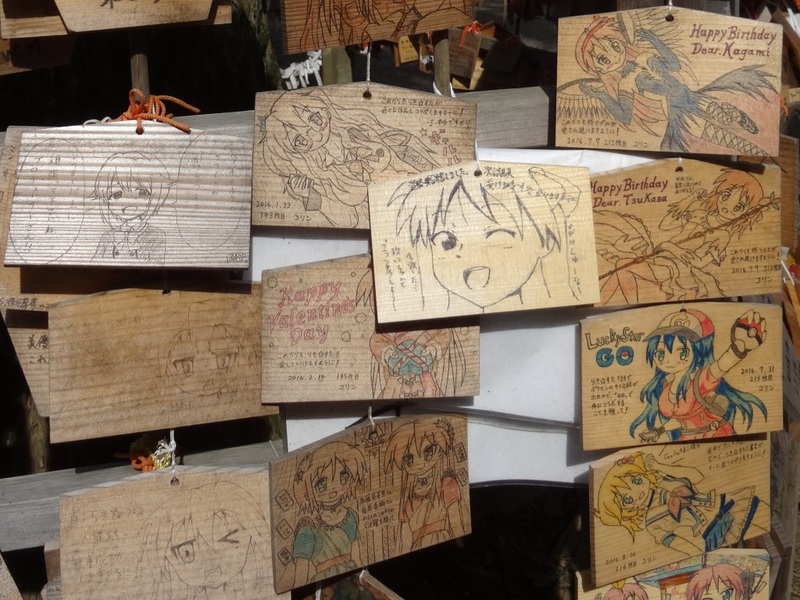 Even some ema for other shows like AnoHana. 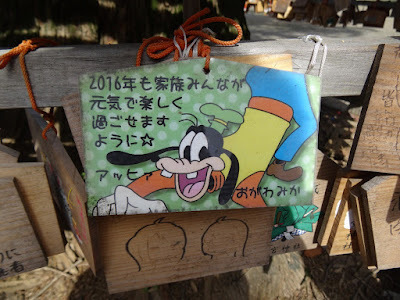 Plus a Goofy one for some reason. 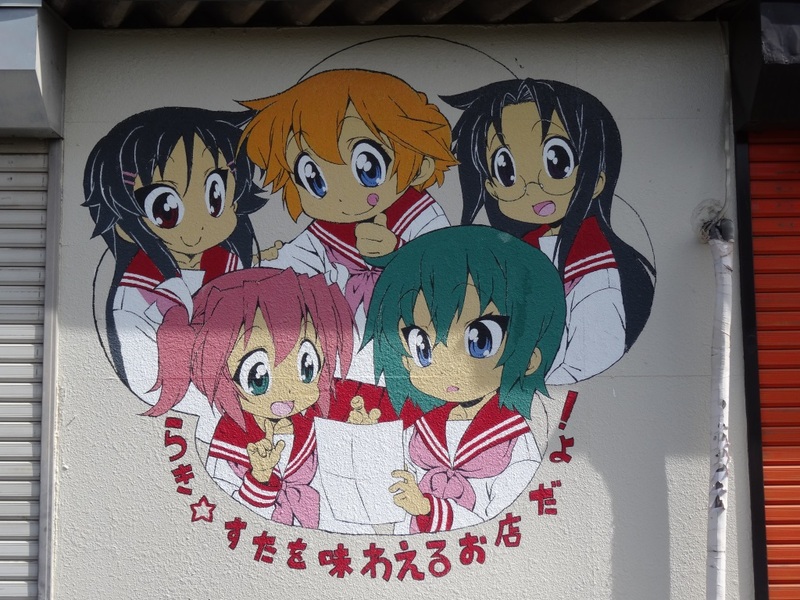 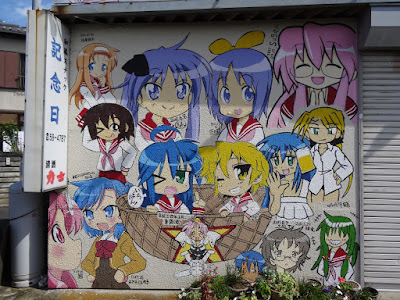 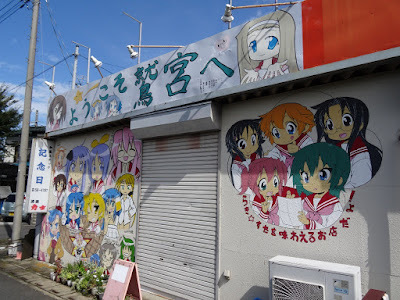 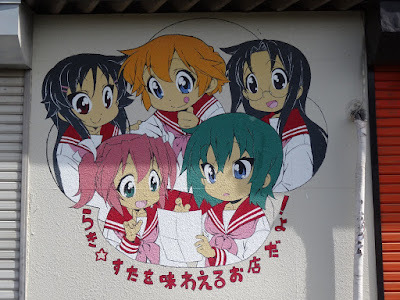 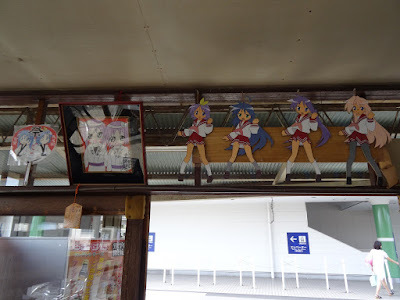 Walking back to the nearby Washinomiya Station we also saw a place serving Lucky Star inspired food. 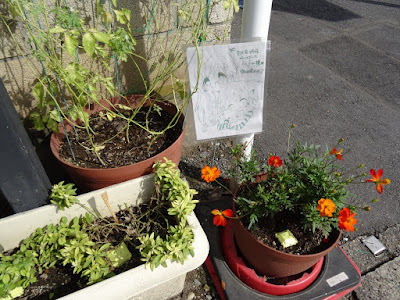 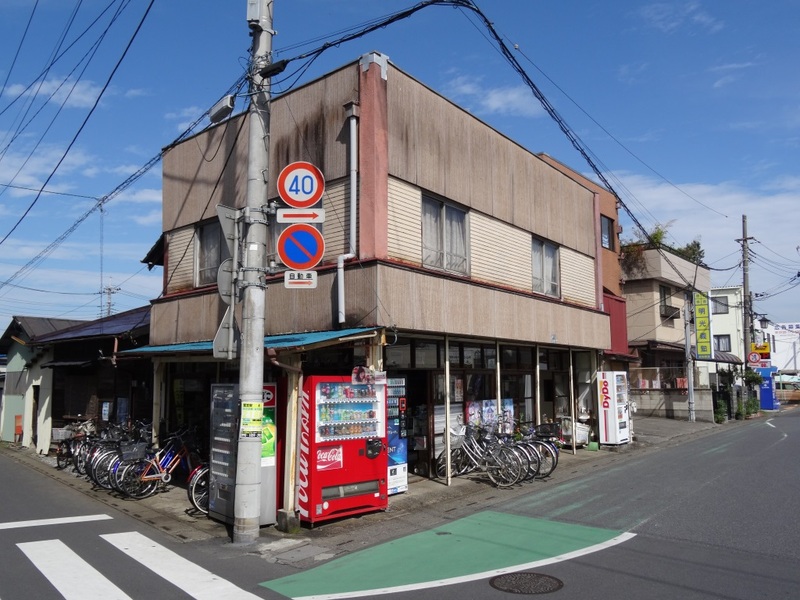 And we checked out the store right next to Washinomiya Station which I had also visited last time. 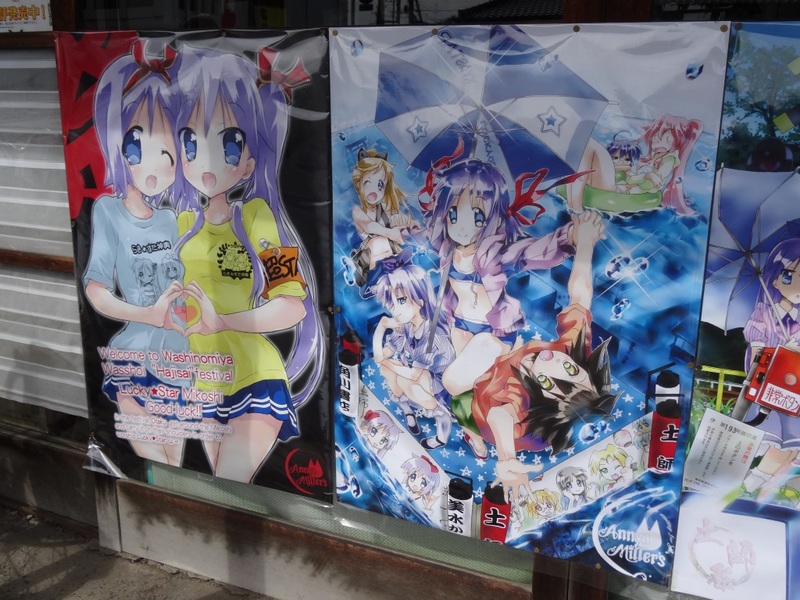 Some posters outside the store. Another one next to the others. 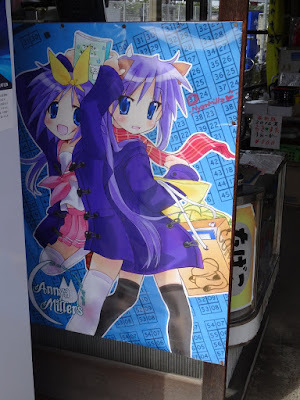 And one inside as well. 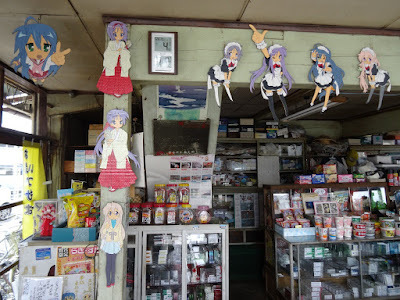 They still had the Lucky Star decorations inside. We also talked for a bit with the owner of the store which showed us newspaper clippings from other countries about Lucky Star in Kuki. The fan and the drawing inside the picture frame to the left has been changed. 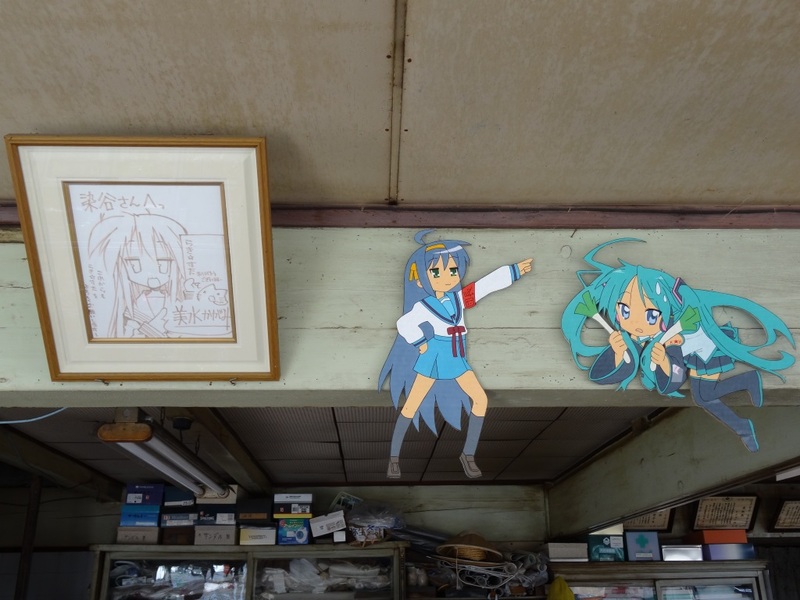 Some more decorations, which I didn't take a picture of the last time, near the signed drawing. 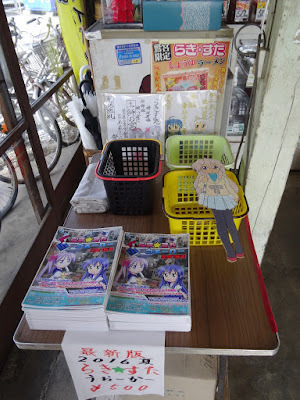 Less doujin magazines for sale this time. 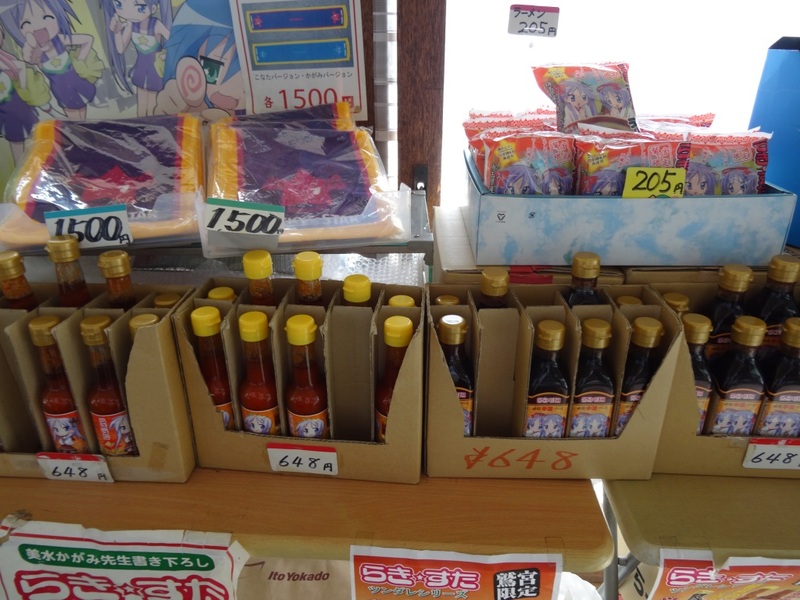 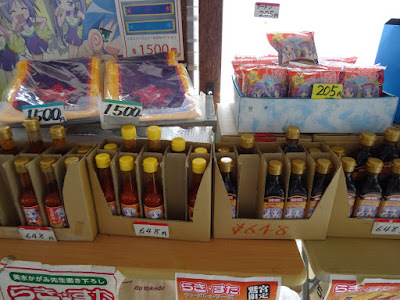 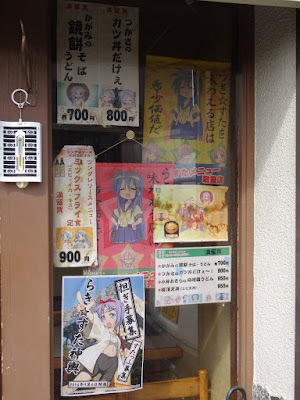 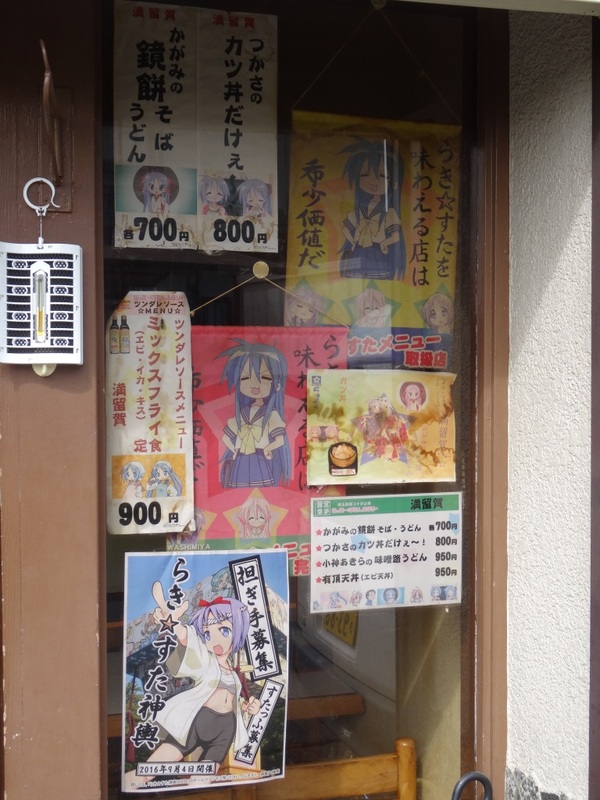 They had some other Lucky Star items for sale though, like the hot sauce and spice mix I saw posters for the last time. On our way out we saw this Lucky Star x Mr. Osomatsu poster here as well. The owner of the store was nice enough to show us the way to where this Lucky Star mural was. 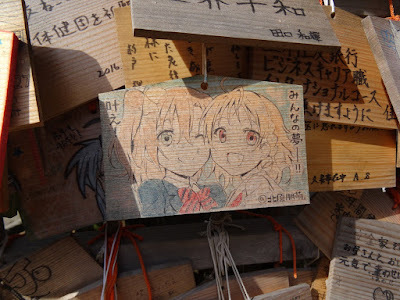 This was apparently made by fans who had visited the city. I've marked the path from the store to this place in the map below.